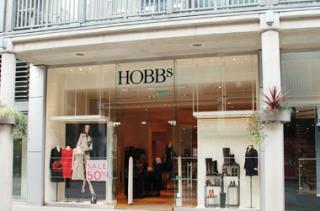 The Bury St Edmunds branch of Hobbs, in arc shopping centre, has won a nationwide award for being the top performing store in their UK portfolio throughout the autumn and winter season in 2015. The award was received in a recent event held at the Waldorf Hotel in London after being awarded for outstanding performance across all objectives including customer experience as well as sales. British brand Hobbs first opened in Hampstead, London, in 1981 and has since grown from a small yet sought-after shoe label to a global brand synonymous with the best of British design. They have over 200 stores and concessions throughout the UK including iconic retail locations such as Regent Street in London as well as Manchester and Birmingham. The store in Bury St Edmunds, which has been part of the arc shopping centre line-up since it first opened in 2009, came in front of all of them to win the award.